The eyes are extremely delicate and complex organs, which can require very different forms of treatment depending on your specific vision needs. So, it’s only natural that the healthcare professionals who treat eyes come with a variety of training (and titles) in order to deliver the best outcomes. An ophthalmologist is a medical doctor (M.D.) or osteopathic doctor (D.O.) who specializes in all aspects of eye care. They generally complete four years of college followed by at least eight years of additional medical training. Some ophthalmologists, like our practice’s Dr. Gregory Snodgrass, have subspecialties like cataract surgery, macular degeneration or diabetic retinopathy. Ophthalmologists have the highest level of training, and are qualified for advanced eye disease treatment and surgical procedures. A doctor of optometry (O.D. ), better known as an optometrist, provides primary vision care. They generally earn a four-year college degree followed by four years of post-graduate training in optometry school. Optometrists perform eye exams, prescribe and dispense corrective eyeglass and contact lenses, detect eye abnormalities and prescribe medications, among other things. North Florida Cataract Specialists and Vision Care has three optometrists on staff to serve our patients. Opticians are not eye doctors, so they do not diagnose or treat eye diseases, but they do serve a critical role for patients’ vision needs. Opticians design, confirm and fit eyeglass lenses, frames and contact lenses based on the corrective prescriptions produced by ophthalmologists and optometrists. Unlike many standalone optical shops, North Florida Cataract Specialists and Vision Care’s optical locations in Gainesville feature licensed opticians to provide the best vision correction possible. 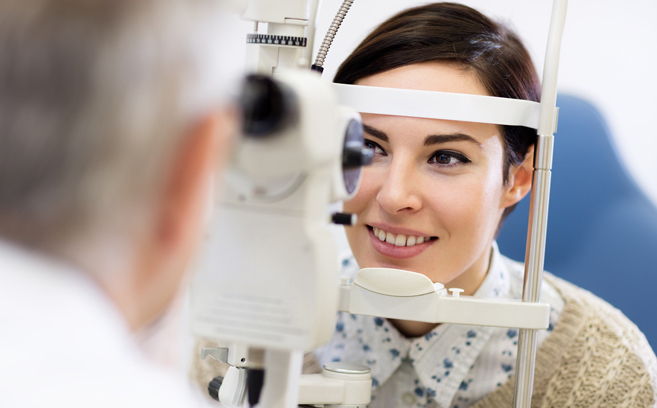 Selecting the right eye care professional for your vision needs doesn’t have to be confusing. Your best bet is to call and schedule a consultation. We’ll gladly work with you to diagnose your vision challenges and answer any questions you have along the way. Contact North Florida Cataract Specialists and Vision Care today.